I hope you are enjoying your summer. I think we went straight from winter directly into summer. I did miss spring! I am enjoying our CSA from Just Natural Farms ! The fresh vegetables and fruit are amazing and I've been able to enjoy a fresh salad every night with my dinner. 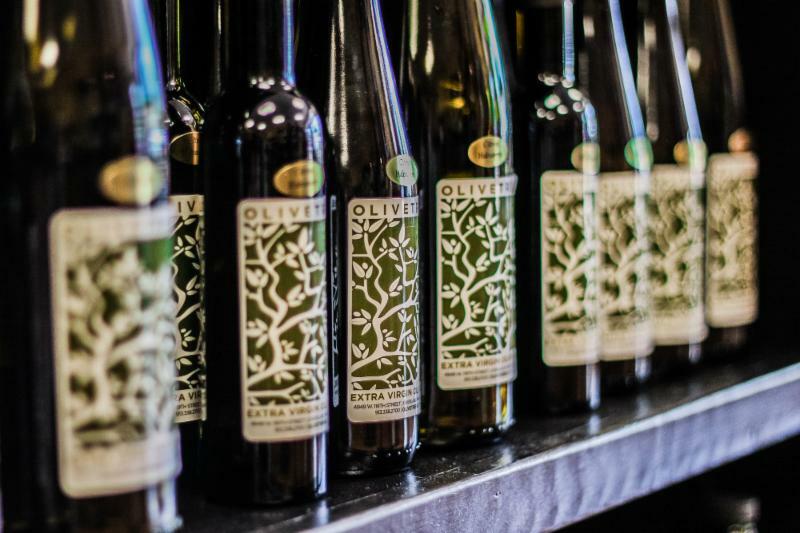 I'm hooked on our new White Plum balsamic vinegar paired with Basil olive oil. It is delicious! Hope you are staying cool. Have you heard about the Frywall? 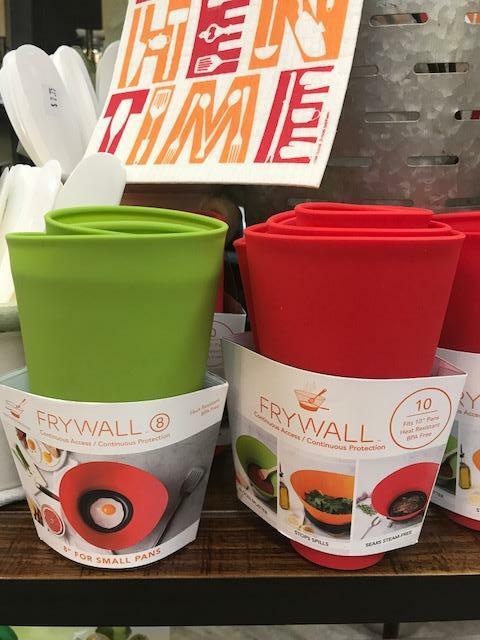 Frywall never drops its guard, protecting your stove top even when you stir or flip your food. Yet it lets steam escape, so proteins sear without getting soggy. You get the freedom of an open pan, with a lot less mess. Come check it out! 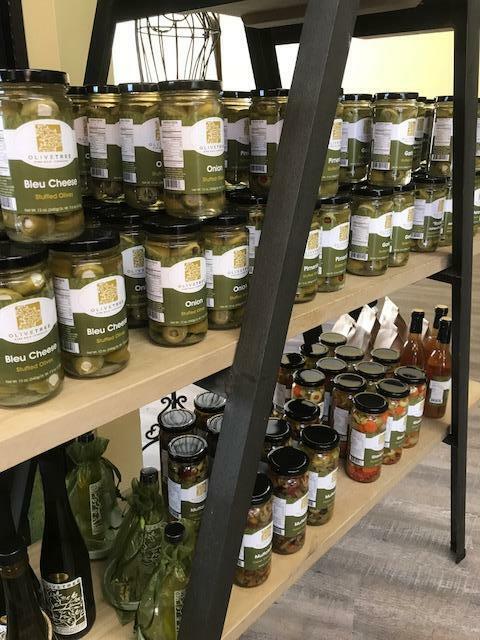 Also new Muffaletta and a spicy Giardiniere and our always popular Dirty Martini Mix! If one of our retail partners doesn't have what you are looking for, just ask. We can deliver to them. When you bring in a CLEAN and DRY bottle, we will refill it and give you a discount of $1.00. (Get a $2.00 per bottle discount every TUESDAY .) This replaces our previous recycling program. We use so many bottles and would love to see them used again and again. For health and safety reasons we can only refill CLEAN and DRY bottles. If we deem your bottle to not be clean or dry, we cannot refill. We will only refill our bottles that you purchased from us. If you have any questions, please let us know and we will be happy to get back to you. ﻿ * We will not be accepting any more bottles for recycle, only refill. 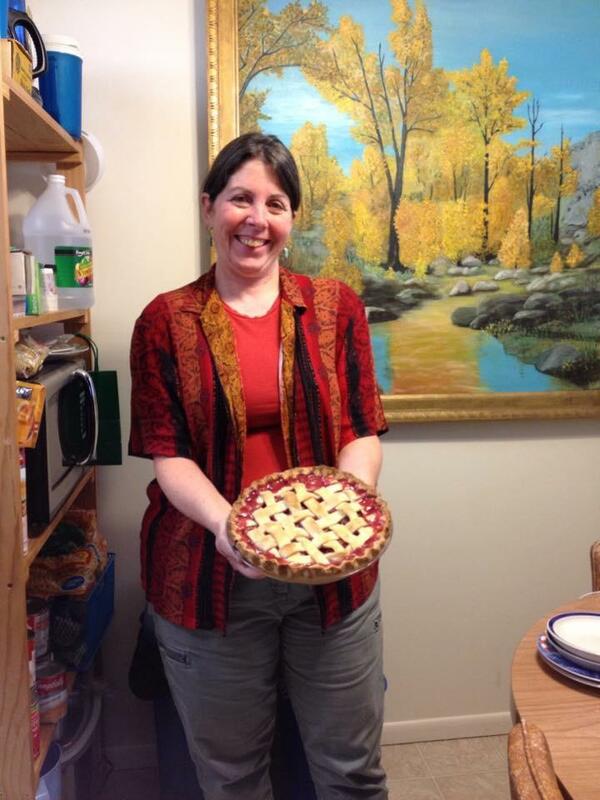 Rebecca Tombaugh, manager of the Brookside Savory Spice Shop, and has been baking pies for 40+ years, with her "signature pie" being the beautiful and delicious cherry pie! She will teach a class all about how to make the best cherry pie ever. She will start with a pie crust made right before your eyes, rolled out and cut to make a lattice top. She will pit fresh cherries and add some special spices and then bake it to perfection. The class will sample a slice of pie right out of the oven so come hungry. This class is for anyone -- especially those who have NEVER even thought of making a real pie. 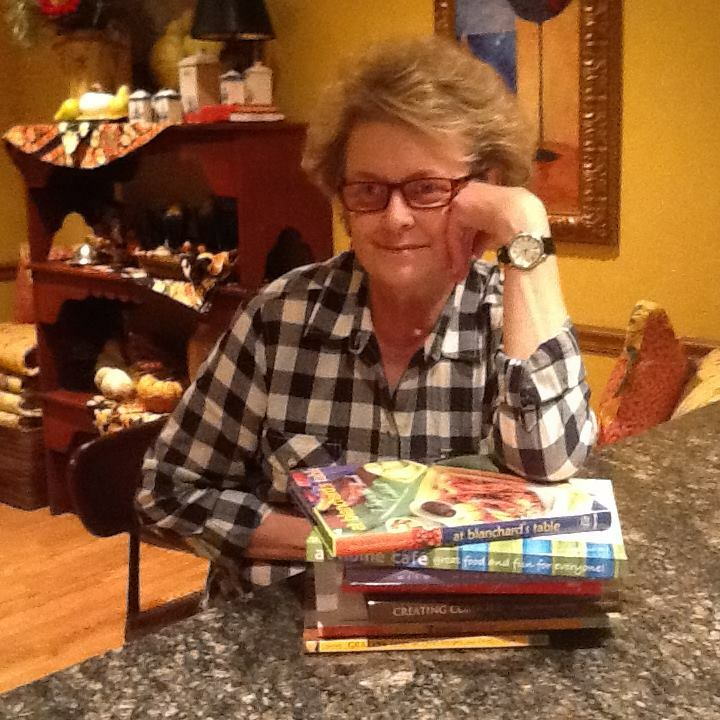 Class fee is $15 and includes the demo, taste, recipes and everyone goes home with a goodie bag of spices from her shop! 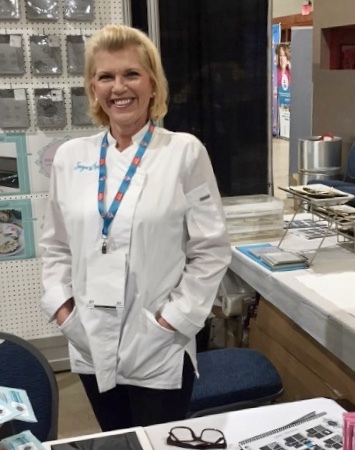 Cynthia from SugarChat Cookie Studio will be in the shop to show us what to expect from her cookie class on June 16th. Word has it that she will be showing us some super cute Father's Day cookies. You don't want to miss this! Stop in the shop and meet Stefani Brancato of Bronco Blue Dressing . 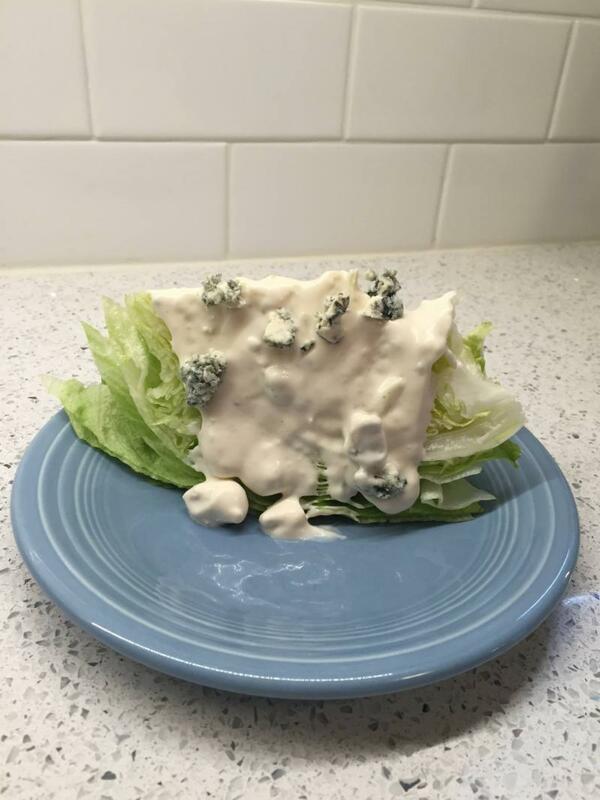 Stefani prepares some of the best blue cheese dressing we have ever tasted. She will be sampling and selling so put this on your calendar if you are a blue cheese dressing lover! To pre-order, please email Stefani at broncobluedressing@gmail.com. What pairs perfectly with every dish? Beautiful, fresh floral centerpieces! Do you love centerpieces, but don't know where to start with flower arranging? Have you ever wondered how floral designers seem to place every stem in the perfect spot? Or, how to prep flowers to make them last longer? Well, this class is for you! Join experienced floral designers, Mindy Owens and Linda Clark, to learn their secrets to flowers! 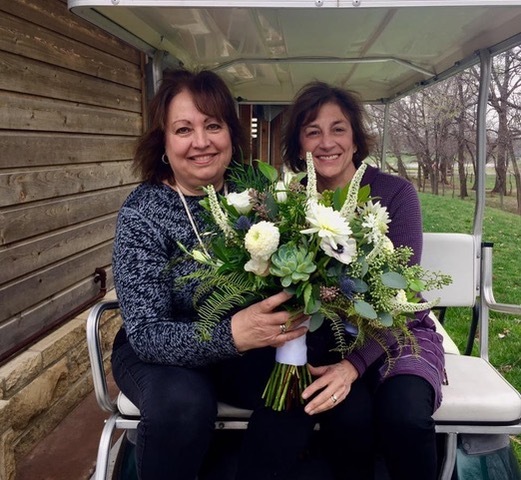 Together, Mindy and Linda have over 20 years of floral and classroom education experience. Both have worked in floral shops and enjoy helping clients plan their own events and weddings. During this Introductory Floral class, you'll make your very own floral arrangement, understand floral care and tools, and learn different ways to construct and incorporate florals and foliage textures to create something beautiful. All experience levels are welcome to this inclusive classroom! We believe there is a flower child within us all! ….Come find yours and join us for flower fun! Tools will be provided but floral clippers are available for 15.00 purchase during class. What a line up we have for YOU! We are thrilled to have the best collection of classes in Kansas City. Sfincioni (Sicilian Pizza with Artichokes, Tomatoes, & Caciocavallo) Pasta with Roasted Grape Tomatoes, Arugula, & Ricotta Salata, Crispy Polenta coins with Shrimp in a saffron cream reduction and for dessert....Jasper’s famous Cannoli Cake. Forget frozen. Forget take-and-bake. In this class, you’ll learn how to make delicious scratch-made pizza at home -- maybe better than most of your favorite pizza joints. 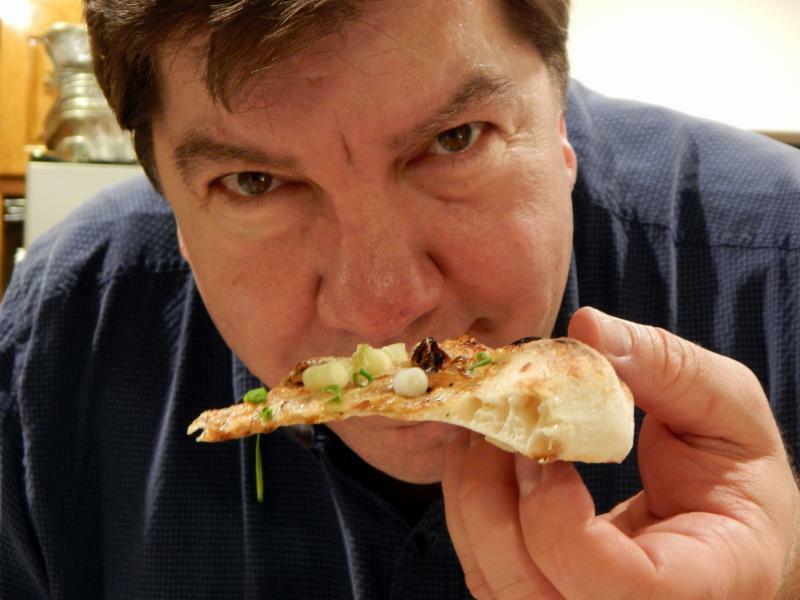 Join Pizza Master Craig Jones and his wife, Gay, as they show you the tips, tricks and tools you need to make some of the best pizza you’ve had. They’ll even tell secrets that other pizza pros don’t want you to know about. You’ll learn how easy it is to make dough with great flavor, and how to create different pizza styles from classic Neapolitan to New York thin crust. You’ll learn the fine points of a delicious red sauce. And, you’ll learn how to make your home oven cook like a pizza oven. Besides learning the art of pizza, you’ll also be feasting on snacks, salad, and of course -- plenty of pizza! The class tends to sell out quickly, so secure your seat today! Join us for a summer camp for grown-ups! Learn how to make crusty, delicious artisan baguettes, boules, batards, focaccia, swirled loaves and more with a dough that can be ready in your refrigerator for up to 9 days! Bring a large mixing bowl and a Danish dough whisk (or get one from Olive Tree). We will start out with a hearty main dish salad and Pesto, Goat Cheese, and Roasted Red Pepper Swirled Bread, then mix our dough. By the end of class you'll know how to mix and form no-knead artisan dough into all kinds of shapes and set up your oven for artisan baking. We'll nibble on a crusty baguette and drizzle Olive Tree's wonderful olive oil on Griddle-Grilled Lebanese Flatbread with Kalamata Olives, Artichokes, and Feta. You'll go home with a boule to bake when you are ready. From the best-selling 200 Fast and Easy Artisan Bread Recipes by Judith Fertig. 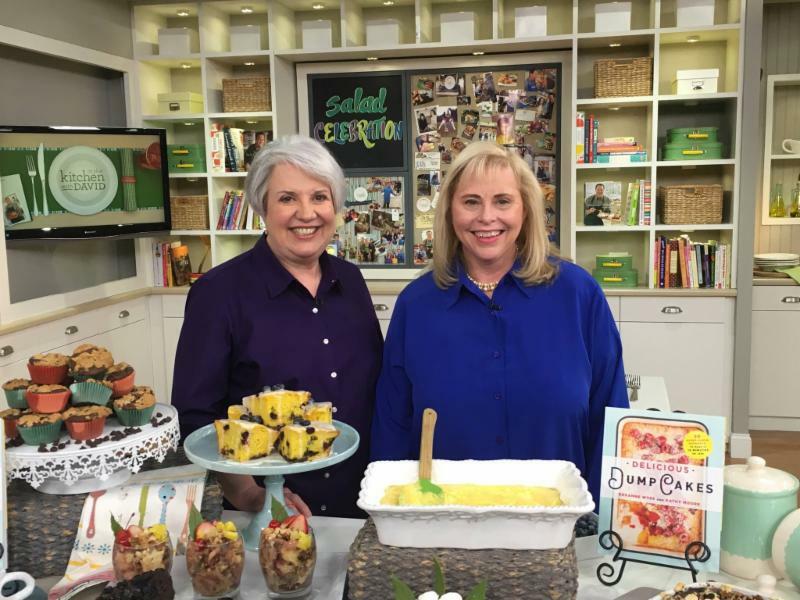 Ann is back in our kitchen and she is talking herbs! Join us for this weekday class. What better way to enjoy the end of the week than with a delicious meal! 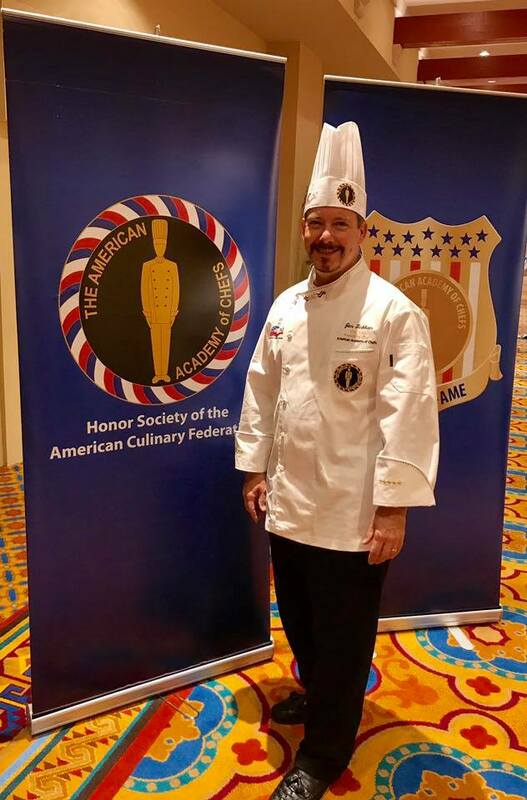 Chef Jim will show you how to prepare a salad with French tarragon vinaigrette, chicken roulade with springtime vegetables, roasted Yukon gold potatoes with rosemary and vanilla, asparagus with lemon citrus butter, and the grand finale; bananas foster flambe. Come celebrate the end of a long week with us! The new shop has given us the opportunity to invite creative professionals to use our space to teach classes. 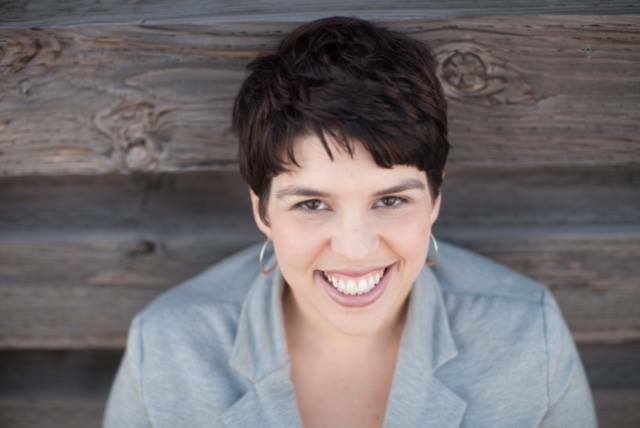 I am thrilled to have Cindi Raven from SugarChat Studio be our first. This type of class is held at Olive Tree but tickets must be purchased through the instructor. During this fun evening Rachel Ciordas will show you how to transform fantastic ingredients into an assortment of delicious tapas. 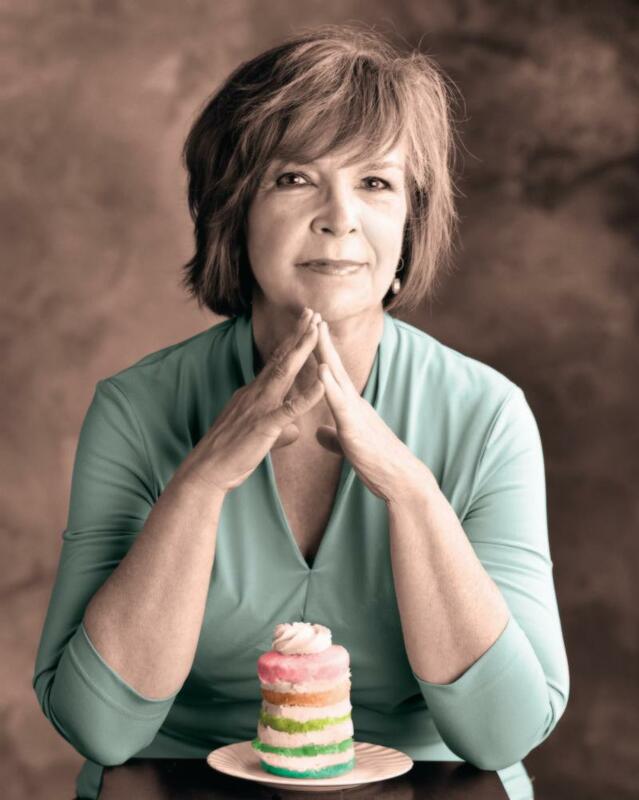 She will introduce you to exciting flavors and share secrets for making them all from scratch. Discover how easy it can be to master a menu of small plates perfect for parties, family gatherings or anytime the craving strikes. Join me as I share my love for making Indian Curries easy and approachable for anyone! We'll make Cauliflower Tikka Masala with Easy No-Yeast Garlic Naan and discuss the wonderful world of North Indian curries. Taylor has cooked professionally in kitchens throughout Kansas City including Nara, Fud and Julep. 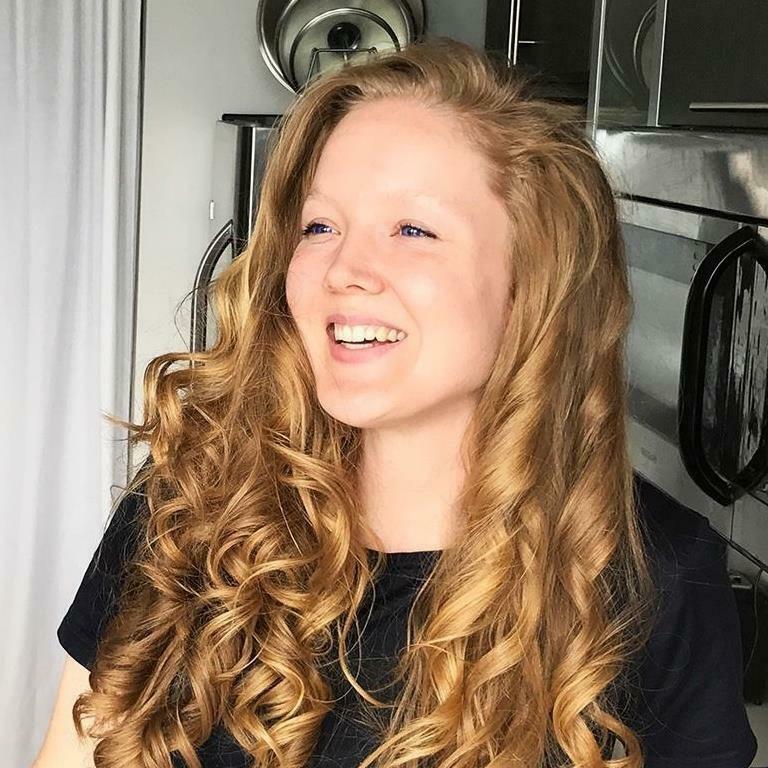 She now has her own meal prep service and runs a food blog and YouTube channel called Two Shakes of Happy. She has traveled North India extensively, totaling more than 6 months, and lived in Varanasi for 4 months. Picnic Poke Cakes with Kathy and Roxanne .. The Electrified Cooks! Picnic time means fun with family and friends, but what is for dessert? Homemade is always the best, but don’t get stuck in the kitchen preparing dessert while everyone else is enjoying the day. No need to run to the bakery to buy a “make-do” dessert when these decadent desserts are ready in minutes and perfectly made to take outside! We will draw on recipes from our newest cookbook, Delicious Poke Cakes, to give you an arsenal of delicious, easy to prepare and easy to transport desserts. Up-to-date, fresh and flavorful, these cakes are an answer to your summertime dilemmas. Get ready to taste summer’s goodness in a Patriotic Poke Cake, White Chocolate Raspberry Poke Cake, Crunchy Toffee Poke Cake, Down South Banana Pudding Poke Cake and a scrumptious Limoncello Cake. In addition to the full-size cakes, we will share our secrets on how to prepare Poke ‘n Tote Cakes, individually sized and ready to go. As a special treat, each person will get a copy of Delicious Poke Cakes. The first class was such a smashing success, we are having another one. 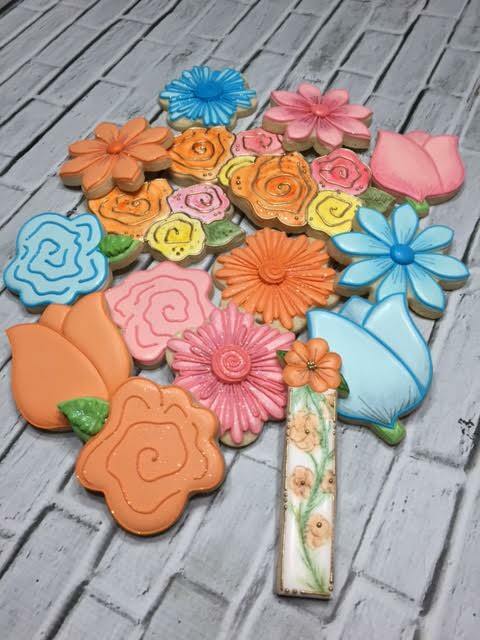 Have you seen these delicate cookies and wondered what all the buzz is about? Do you know the difference between a Macaron and a Macaroon? Yes, there is a difference. 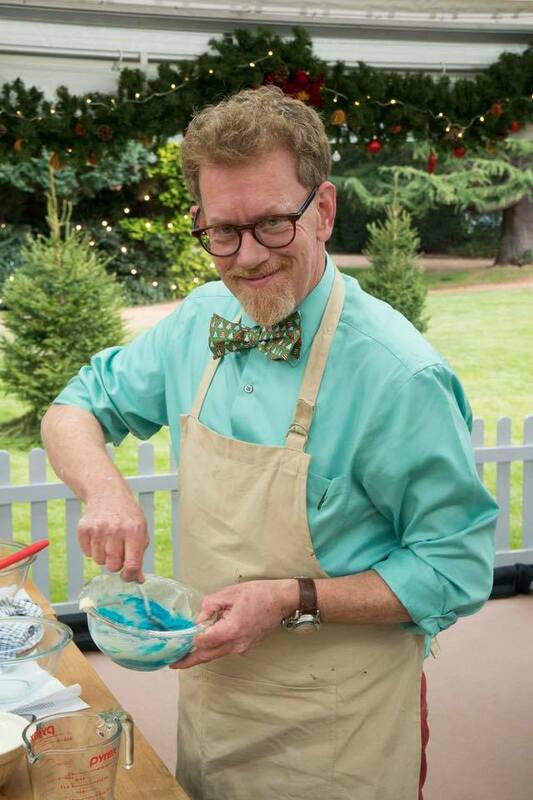 JC Gregg, home baker extraordinaire and participant on ABC's Great American Baking Show 2017 is coming to our place to teach you the basics to making the perfect French and Italian Macarons. You will also learn his secret fillings that make his Macarons pop! If you know JC, you know that this class will be over-the-top fun! Sign up quickly as you know it will sell out fast. We will enjoy a picnic lunch immediately following class. Our favorite pastry guy is back and we are talking breakfast pastries. We will be making puff pastry and croissant dough which we will learn how to use three ways in three completely different pastries. Kouing Amman, cheese danish and pan de raisin. We will also be showing the proper techniques of laminated dough's and will finish with glazed donuts! You know how JC loves surprises .. he will also share a quicker method for puff pastry! Ooh La La! Let’s wrap up the week with a delicious, fancy French, fun night meal! Chef Jim will show you how to prepare butter lettuce with raspberry champagne vinaigrette, chicken scallopini with a sherry mushroom and 3 grain mustard cream sauce, sweet pea orzo with parmesan cheese, and a scrumptious dessert to finish. It’s time for heirloom tomatoes from our friends at Kurlbaum’s Heirloom Tomato Farm along with Jasper’s homemade mozzarella. You will learn to prepare Jasper’s secret to prepare homemade mozzarella and ricotta cheese. 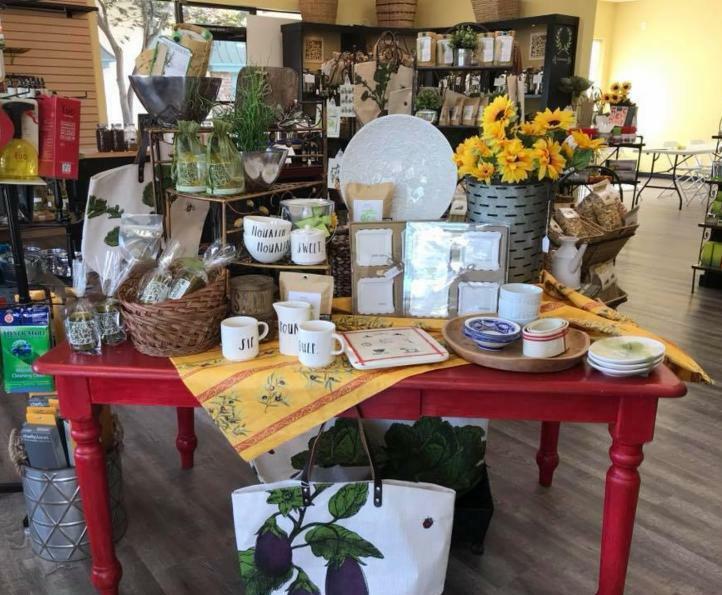 Jasper will be serving tomato and mozzarella inspired dishes such as Chilled Tomato Soup & homemade focaccia, Panzanella Salad, Chicken Caprese and local Missouri Peach Napoleons with Nana Mirabile’s Italian pastry cream. 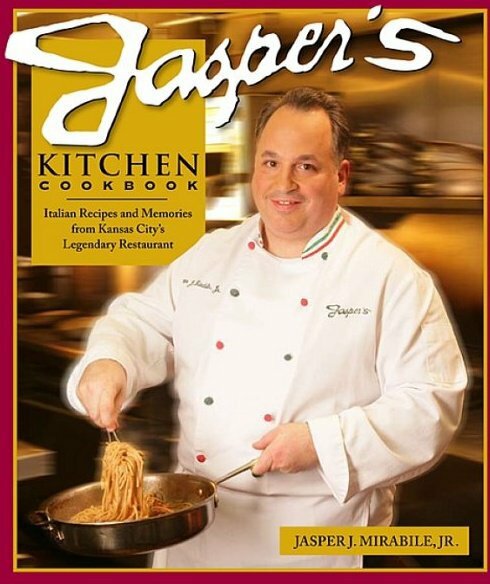 You will imagine your having Sunday dinner with Jasper when he prepares his Mother's recipes for Sunday Sauce, homemade meatballs, braciole, Italian Veal cutlets and Nana’s Rum Cake with homemade gelato. Sit back, relax and let Jasper do the cooking while you enjoy his delicious recipes. 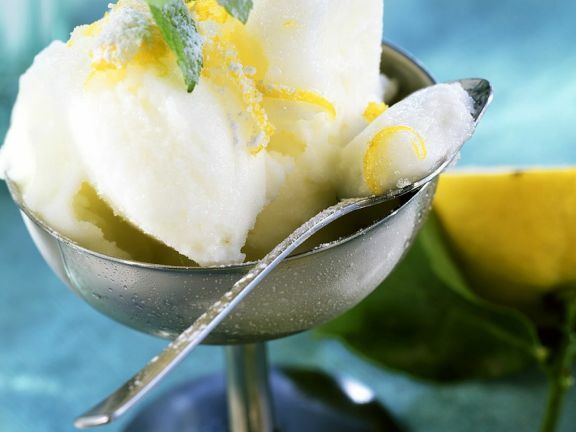 With the crazy heat, enjoy this refreshing and easy to make treat! Mix water and balsamic vinegar in a bowl and chill in refrigerator for at least an hour. Once the mixture has thoroughly chilled, freeze in your ice cream maker according to the manufacturer’s instructions. (If you don’t have an ice cream maker, you can pour the mixture into a shallow pan and freeze in your freezer until semi-solid. Then take a fork and fluff it up, returning it to the freezer to freeze firm. Then put in a food-processor or blender to process until smooth). Serve with a garnish of mint as a palette cleanser between courses or as a refreshing dessert. If you get a chance, check out one of our new classes. I think you will love what we are offering. Thank you for your continued patronage and support. I am grateful.